We are looking for new and enthusiastic members to become trustees of our charity and join our management team. Could you work together as a critical friend to the local authority and health services? Would you be able to challenge decisions and look to improve services and support for those living with Special Educational Needs and Disabilities? Are you happy to gather and listen to feedback from parent/carers throughout Derbyshire and collate views on all aspects of Special Educational Needs and Disability? Can you look at targeting work on those issues that are important to and on behalf of Derbyshire families in order to improve services and outcomes? Are you passionate about empowering parents to participate in meetings and events with health, voluntary and local authority services? Do you think that this could be you? If so, please follow the link below for an application form. Tracey has worked for over twenty years within the Health and Social Care Sector , starting her career as a support worker. Tracey has worked with some very challenging young people and developed strategies of working that have been invaluable to this day. She has two children, one with Autism, ADHD, Sensory Integration Disorder and Severe Autism. She is now the Director of Challenge Consultancy and is an ASC Education Consultant. I am a parent of two beautiful girls. My youngest is 18 years old and lives with Cerebral Palsy. I feel passionate about empowering parents with SEN children to provide the best care and life opportunities for the, I see this being done through sharing information, providing support and being a voice to/for parents and cares. I have been fortunate in having a social work background (adults with learning difficulties and Mental Health). This has enabled me to plough thought he minefield of education social and health services for my daughter,. At times I have cried, screamed and felt total despair dealing with the roller coaster ride of providing the quality of life my daughter deserves. Many people work within the disability field, but until you have lived with in it, you do not appreciate the value of respect, honesty, transparency, care, ‘can do’ attitudes and your voice being heard. I am mum to a wonderfully rambunctious little lad who was born extremely prematurely, he is autistic and has a sprinkling of other medical issues for good measure too. He has required a whole host of support all of which I have had to battle for. By doing so I became aware of the plight of other families struggles to gain information and the right support. I have been trustee for Fairplay for the last few years and now feel I am in a position to do more to help others on their journeys for the best possible outcomes. I am a parent of 3 beautiful children, 2 of which have Special Educational Needs. I wanted to give some of my time and experience to an organisation that helps parents and carers in the same position as myself. I have been volunteering now for 3 years at Derbyshire Parent Carer Voice and enjoy it thoroughly. 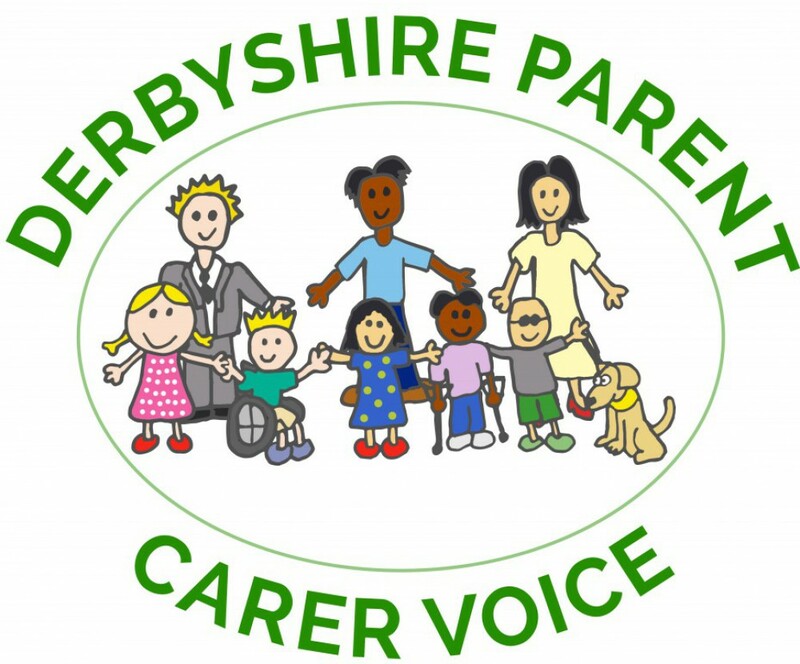 I have been involved with Derbyshire Parent Carer Voice for a few years. I have a son at secondary mainstream schools, who has complex needs including deafness, a mild learning disability and a rare genetic disorder. Being around other parents in similar circumstances, weaving our way though laws, guidelines,’ must dos’ and ‘should dos’ seems more do-able when you know you are not on your own. I help out whenever I can with the group as I think having a parent/carer voice is important for both the local authority and parents/carers, what has happened to one parent/carer is no doubt happening to someone else, and so sharing ideas and practice among all of us is crucial and very beneficial. I am a mum of two teenagers. My youngest has Asperger’s syndrome, dyslexia, dyspraxia and sensory processing difficulties. It was a long arduous road to diagnoses and I have learnt a lot along the way. Meeting other parents and numerous professional has been invaluable. I feel passionate about empowering others on their journeys. Information is power! I am married with two children, one of whom has Special Educational Needs. I have worked in a caring profession for nearly 30 years. I am extremely passionate about promoting fairness and a voice for all. I have been a trustee of Fairplay for nearly 10 years so I have a good understanding of the changing needs of children and young people as well as the extended family, and parents/carers. I am motivate to be a trustee of Derbyshire Parent Carer voice to advocate my own passion and that of others to families and professionals alike. I have a good working knowledge of Local and governmental changes and strive to keep parents and carers informed of this. Get Involved to make a difference in Derbyshire services. The Constitution was formally accepted by the Management Group at the AGM a copy of the constitution is here charitystatusconsitution the Management Group are seeking to apply for Charity Incorporated Status, over the next year.